Justin Bieber rose to the heights of stardom in 2009, at the age of 15 years, when his debut album My World hit the stores. 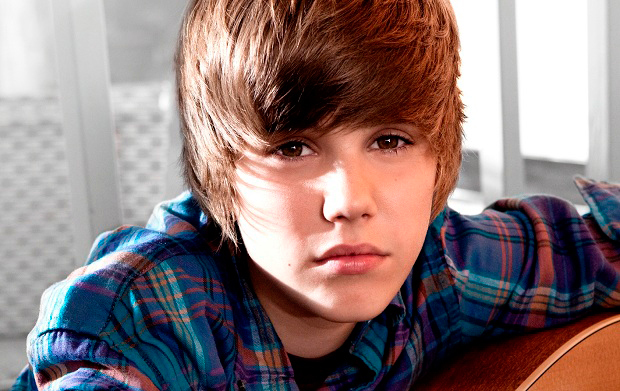 Bieber loved music from a very young age, however, he didn’t take any professional lessons for singing. It is luck which favored Bieber at the young age and turned him into a rock star of the music industry. The debutant album of Bieber went platinum in United States, Canada, and United Kingdom. Bieber has a strong fan base that love and adore Bieber and his songs equally. Born on March 1, 1994, in London, Ontario, Bieber was raised by his mother. Bieber’s journey to stardom started when, at the age of 12, he came second in a local talent show. Subsequently, his mother, out of sheer love for her young boy and a humble way to show the family her young boy’s talent, began posting Bieber’s videos on YouTube. The YouTube videos had Bieber doing the cover of the likes of Stevie Wonder, Michael Jackson, and Ne-Yo. Little did Bieber know that in the couple of years, young emerging singers would post their videos covering the songs of Bieber. Shortly, Bieber became internet sensation. A large number of people followed Bieber and praised his singing abilities. Meanwhile, in Atlanta, a music producer and manager, Usher, was eager to get a record deal signed by this emerging young star. Finally, Bieber had a meeting with Usher, who eventually signed the young singer to a contract. Justin Bieber’s hit single, One Time, was widely acclaimed across Canada. It also got platinum certification. Shortly, his debut album, My World followed the trail and managed to sell more than 137,000 copies within a week of hitting the stores. This flattering sales figure turned Bieber from a young teenage boy to a pop icon. Bieber became role model for his fans. He believes that being in the limelight is not as easy as it seems, he was once quoted, ‘Young people in this business have grown up and made the wrong decisions, or bad decisions, and haven’t been good role models. To be someone that people look up to is very important to me’. Bieber’s second album, My World 2.0, was also highly praised. Its hit single, Baby, took Bieber into Billboard Top 10 in early 2010. In 2011, Bieber made it into the big screen by starring in the concert documentary Never Say Never. Excited to see what happens backstage, in the life of their pop idol, Bieber’s fans headed towards the cinemas. The film grossed more than $73 million at the box office. The documentary also had the guest starring of the likes of Kanye West, Miley Cyrus, and Usher. The following year, in 2012, Bieber released his album Believe which included Bieber’s biggest hit single to date, Boyfriend. The clean image of Bieber has come under the light of scandals. Bieber’s image was tarnished when he was caught urinating in the janitor’s bucket and swearing while holding the photo of former president Bill Clinton. Although, Bieber apologized later however the incident left smudge on Bieber’s image. Bieber also faced the wrath of public when he once remarked that Anne Frank, the young girl who shared the horrendous experience of the holocaust, would have been the Belieber. In 2014, he was accused of egging a neighbor’s house. A week later, he was arrested for suspicion of drag racing and driving under the influence. He remained in the jail till his bail. Currently single, Bieber once dated Selena Gomez. The couple remained together for two years and then broke up.